Looking for a quick road trip? 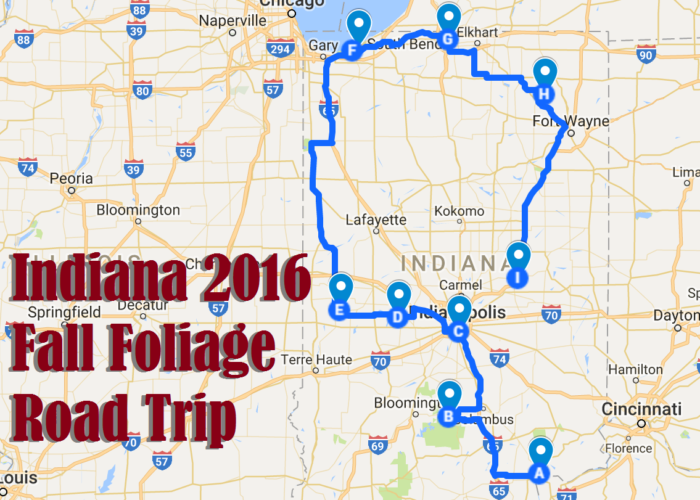 Here is a map for the fall foliage in Indiana. Check it out HERE! 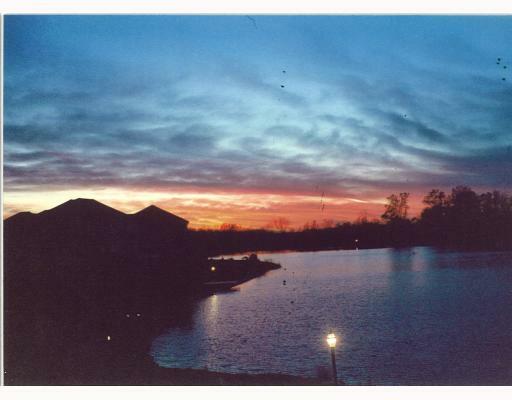 Yes this beautiful sunset picture was taken from the backyard deck of a home in Granger Indiana. If you've spent anytime watching shows such as "House Hunters" you know your dollar will buy a lot of home here in Granger. No kidding! As stated in an earlier blog entry, if you're relocating from San Francisco the median home value is over $600,000. That's a lot of cash to be plunking down these days for an "average" home. I don't care where it is. This sunset was viewed from anything but an average home and the cost is only a little over half the $600,000 you pay for that median value home located in San Francisco. What's up with that? What I do know is that if you are considering relocating to Michiana from another area of the country, for whatever the reason, Granger Indiana is a diamond in rough located right here in the breadbasket of America. Find out more information on this gorgeous home located here in Granger. Here's a flyer for your buyer notebook. Better yet, set up and appointment to see this home in person. Call Anita today! Oh and don't forget to follow me on Twitter. Are you relocating to the Michiana area? Michiana is a beautiful area of the country with some of the friendliest people you'll ever meet. Maybe most noted for the University Of Notre Dame, Michiana includes other countless sites and sounds unique to the United States. Michiana offers some of the most affordable housing currently available in the United States. Michigan City Indiana and St Joseph Michigan are home to some the best beaches on Lake Michigan and are less than an hour away. Michiana offers a wide selection of public and private schooling options to educate your children from kindergarten through college. The South Bend Civic Theater stages between six and fifteen full length selected productions each year for your enjoyment. Michiana is home to some of Indianas finest golf courses with reasonable rates, such as Black Thorn, Juday Creek and Elbel Park Golf Club. South Bend is the home of the College Football Hall of Fame. Chicago South Shore and South Bend Railroad is the only electric commuter line remaining in the United States and connects South Bend to downtown Chicago on a daily "loop". Chicago, the third largest city in the United States, is less than two hours away by car. Anita can get to the parking garage by Blookingdales in less than an hour and a half. Yes, Michiana is a wonderful place to live and enjoy a high standard of living. With affordable housing, lower than average tax rates and utilites, access to a wide selection of entertainment and activites and all the social services such as education, health care and transportation you need to build a life for your family, Michiana is one of the best kept secrets in America. Relocating? Call Anita today! 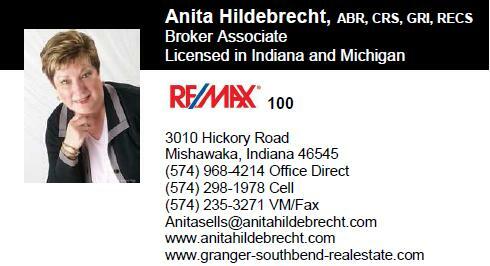 Anita will be happy to assist in any way she can with your relocation to the Michiana area.